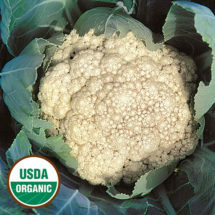 With a larger, paler head than its broccoli cousin, a well-grown heirloom cauliflower is a gardeners pride. Takes well to sauces, delicious steamed and in curries. 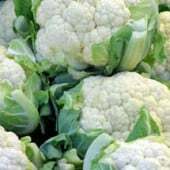 Well adapted for forcing or wintering-over for early crops in warmer regions. 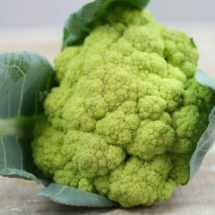 A nutritious Italian variety with 2-pound, apple-green heads that are full of flavor. 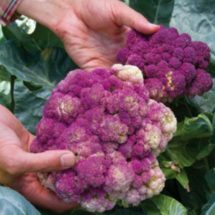 Beautiful purple heads that cook to bright green and have a fine, sweet flavor. 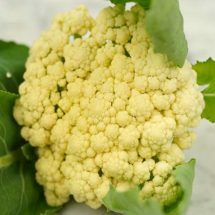 This white-type variety has been an American favorite for over 100 years.